Gilgit is the capital city of the Gilgit-Baltistan region, an administrative territory of Pakistan. The city is located in a small valley near the confluence of the Gilgit River and Hunza River. Gilgit is a major tourist destination in northern Pakistan, and serves as a hub for mountaineering expeditions in the Karakoram Range. 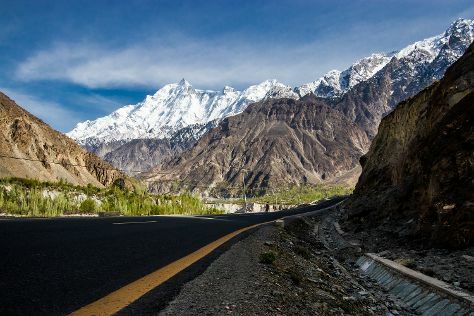 It was an important stop on the ancient Silk Road, and today serves as a major junction along the Karakoram Highway with road connections to China, Skardu, Chitral, and Islamabad.EtymologyThe city's ancient name was Sargin, later to be known as Gilit, and it is still referred to as Gilit or Sargin-Gilit by local people. In the Burushaski language, it is named Geelt and in Wakhi and Khowar it is called Gilt.HistoryEarlyBrogpas trace their settlement from Gilgit into the fertile villages of Ladakh through a rich corpus of hymns, songs, and folklore that have been passed down through generations. The Dards and Shinas appear in many of the old Pauranic lists of peoples who lived in the region, with the former also mentioned in Ptolemy's accounts of the region. Gilgit is in Gilgit-Baltistan. With our world travel planner, Pakistan vacations can be built around trips to Gilgit and other destinations in Pakistan.